Observation - Fox Skull - UK and Ireland. 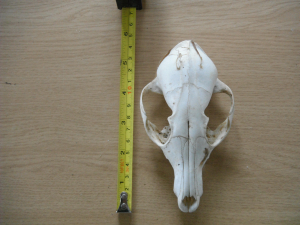 Description: Skull found washed up on a gravel stream bank,I think it maybe a Fox Skull as there are lots in the area. Skull found washed up on a gravel stream bank,I think it maybe a Fox Skull as there are lots in the area.